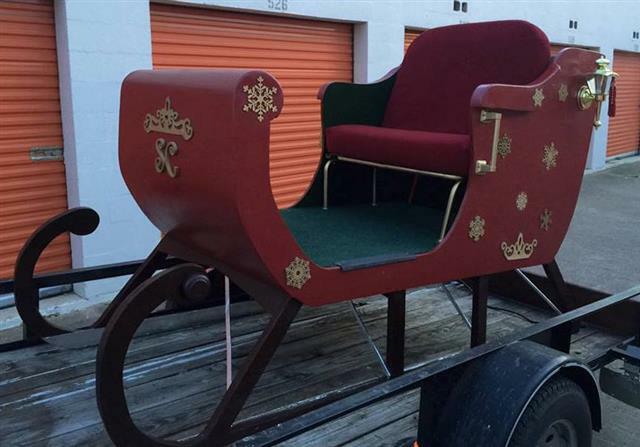 Do you need an authentic Santa Sleigh for a pictures with Santa event or as a backdrop scenery? We have some great Sleighs that are available by the day, week, or season. The Dallas Sleighs we offer are available for delivery and will make a great addition to your event. Dallas Sleigh for Rent. Call to check on availability, 817-601-5666 or email Santa@MystiAllen.com with the date and time needed.